٥ Members of the Powderkeg Morris Dancers climb down after dancing atop the Windgather Rocks at High Peak in Derbyshire, Britain, before sunrise. 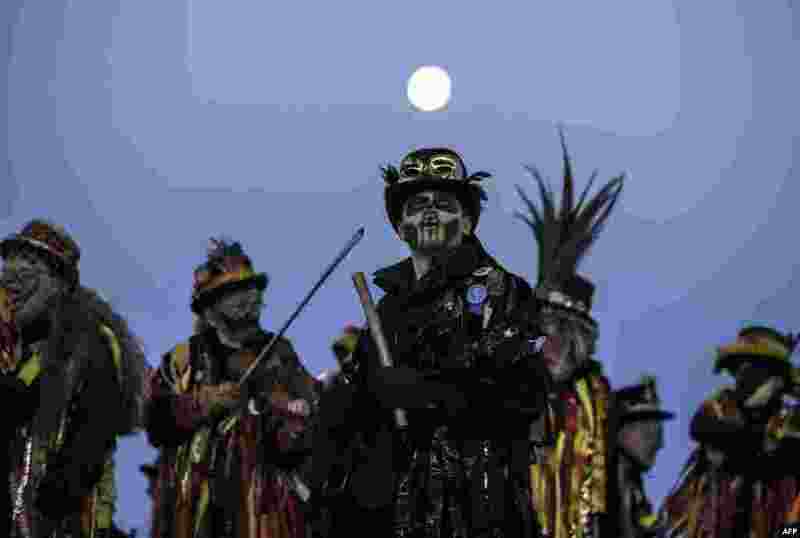 The Powderkeg Morris dancers perform an annual dance atop the Windgather Rocks at sunrise, as part of an ancient Celtic festival celebrated on May Day or the beginning of summer. 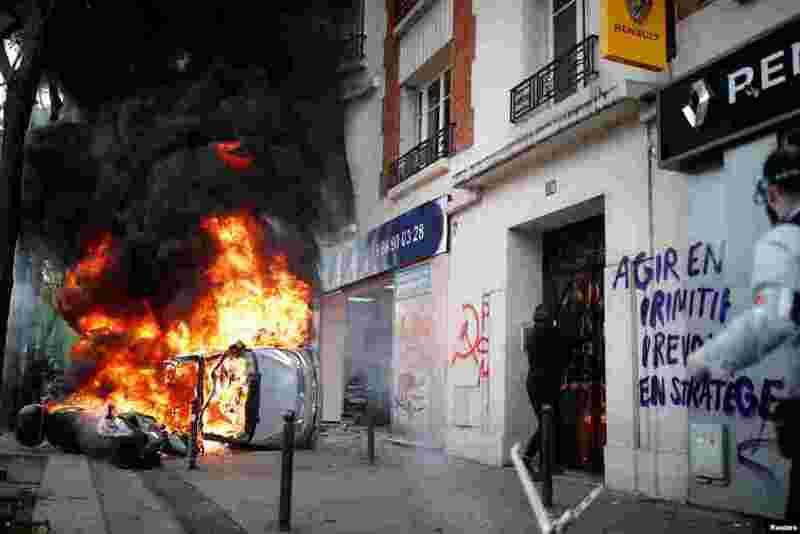 ٦ A car burns outside a Renault automobile garage during clashes at the May Day labor union march in Paris, France. 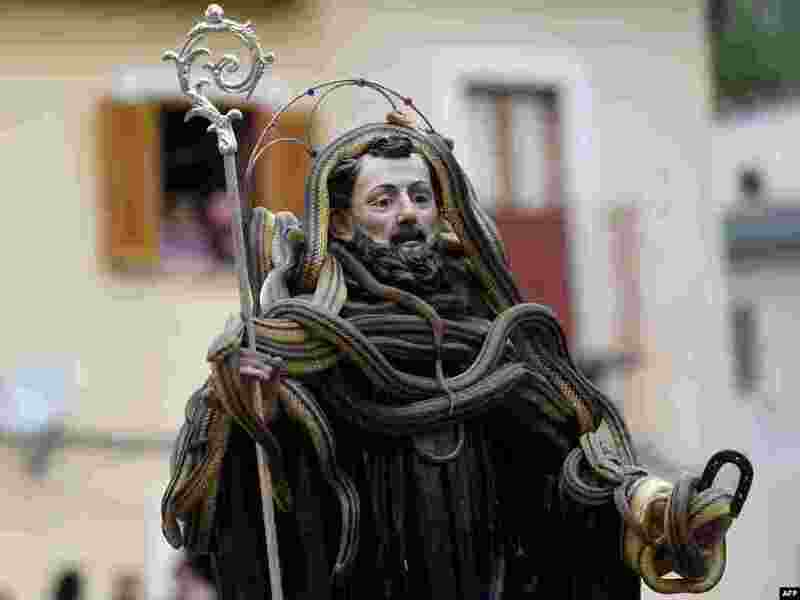 ٧ A statue of Saint Domenico covered with live snakes is carried by faithfuls during an annual procession in the streets of Cocullo, a small village in the Abruzzo region, Italy. 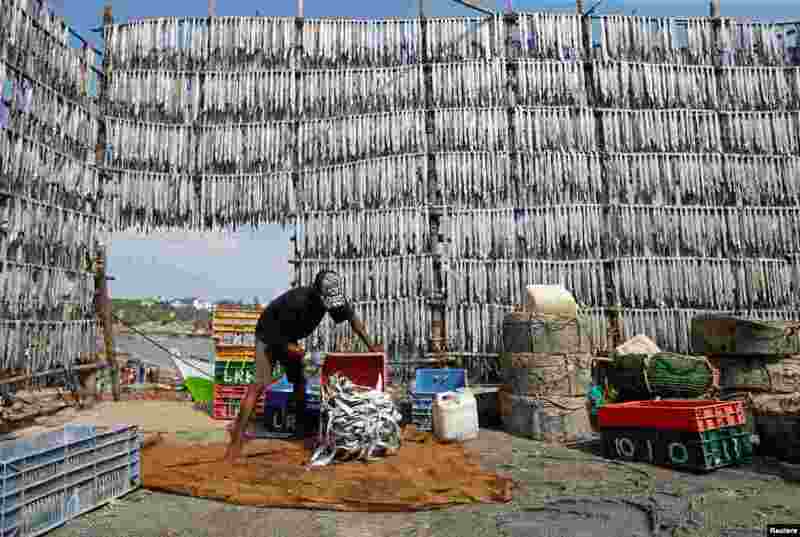 ٨ A man empties a container of fish onto a sack at a fishing village in Mumbai, India, April 30, 2018.